How to Make RED RHUBARB from GREEN RHUBARB...Why is my rhubarb green? Why is My Rhubarb Green Instead of Red or Pink? Do you prefer crimson red rhubarb instead of green rhubarb stalks? I know I do, and I believe, if given the choice, most people prefer red, crimson, or pink rhubarb. Many people ask: "WHY is my rhubarb green instead of red?" Keep in mind that the crimson red rhubarb you sometimes see in photos is probably rhubarb grown in a hot house, or forced. This rhubarb is usually a beautiful red or pink colour, (and usually more tender), than outdoor, garden variety rhubarb. Garden harvested rhubarb often includes a lot of green colour. Although the taste of the rhubarb is not usually affected by the colour, (the variety of rhubarb will determine the flavour), redder or more pink rhubarb is more attractive in appearance; I agree! 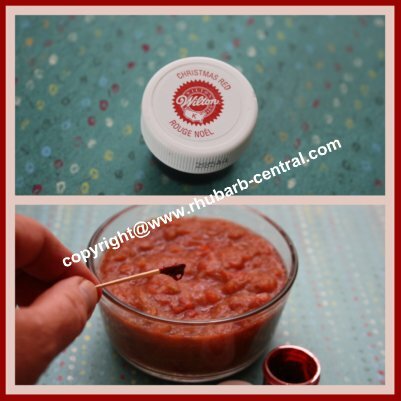 To make my rhubarb more red or pink instead of green, I use one of two methods, either I add raspberry or strawberry flavoured gelatin crystals, or "Jello" to the rhubarb, or I add a tiny bit of red food colouring. 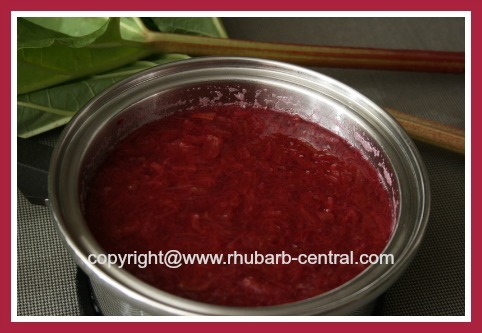 If you are simply stewing the rhubarb to use as a side dish for dinner, or as a base for a rhubarb parfait or a rhubarb smoothie, you can simply add raspberry or strawberry flavoured gelatin, (For example: "Jello"), to the rhubarb after it has been stewed, and you will have a beautiful, rich red or pink rhubarb dish! If you are using rhubarb for a recipe, you can simply add a tiny bit of food colouring, and make the rhubarb a fabulous red rhubarb! I only do this occasionally, if the rhubarb I am using for a recipe is quite green, because I really prefer not using food colouring if possible. However, it takes only a very tiny bit of colourant to make the rhubarb a fabulous red colour! Obviously, you cannot use this food colouring on dry, chopped rhubarb. It is to be used after the rhubarb has been stewed. The most common recipes that I use this method is when making rhubarb bars, cookies, sauces and relish. I do not recommend colouring rhubarb for rhubarb crisps, rhubarb pies, rhubarb ice cream, etc. Remember, you do not want to colour your entire batter! The colouring is done to the rhubarb mixture, after it has been stewed. I use the tasteless, red food colouring made by "Wilton", the "Icing Colours" (pictured at left), with amazing success. This colouring product can be ordered online at *Amazon.co. 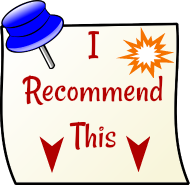 Click the image above for more detailed product information and customer product reviews. My jar of this food colouring has lasted me for many years! To colour the rhubarb mixture, dip a toothpick into the food colouring in the jar, and then dip it into the stewed rhubarb. Stir the rhubarb well, and repeat if necessary ... You will be left with a gorgeous red rhubarb mixture. One word of caution - be careful when using food colouring, it will colour ANYTHING(!) 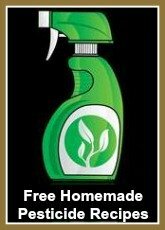 it touches, including hands, kitchen counters, etc., so use caution when handling the colourant. Is there any other tip for turning green rhubarb into red rhubarb? Many people have contacted me regarding the possibility of adding something to the soil to make their existing rhubarb plants produce redder stalks. However, the colour of the stalks is largely determined by the variety of the rhubarb and of course, whether or not the rhubarb is forced /grown in a hothouse, or grown in an outdoor vegetable garden. One site visitor has suggested that placing wood ashes around the base of the rhubarb plants is the solution for turning the rhubarb plants more red. The theory is that, since rhubarb leaves are so large, they often become heavy, touching the soil, and making the soil more acidic. It is claimed that placing wood ashes around the rhubarb plants will help to avoid this by improving, (increasing), the pH of the garden soil. It is not recommended to use ashes from commercial slow burning wood log products or treated wood in the garden, because of the binding agents and chemicals being used in these wood products. Also, be careful not to apply too much wood ashes. For average soils you can apply about a shovel full, or 1 kilogram to the square metre. Spread it out and scuff it into the soil to prevent it from blowing away. I have not tried this yet, however, I do plan to do so this year...just need to save up some wood ashes! If you have tried this idea, or you have another suggestion to help gardeners who are trying to grow their rhubarb more red, please contact me via this contact me form! Thanks! 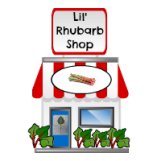 Remember, your rhubarb recipe creations will taste Scrumptious, whatever the colour of your rhubarb ... tasty and healthy!